In the light of our current food system’s problems, we look at a ‘just food’ system with the Bible’s help. 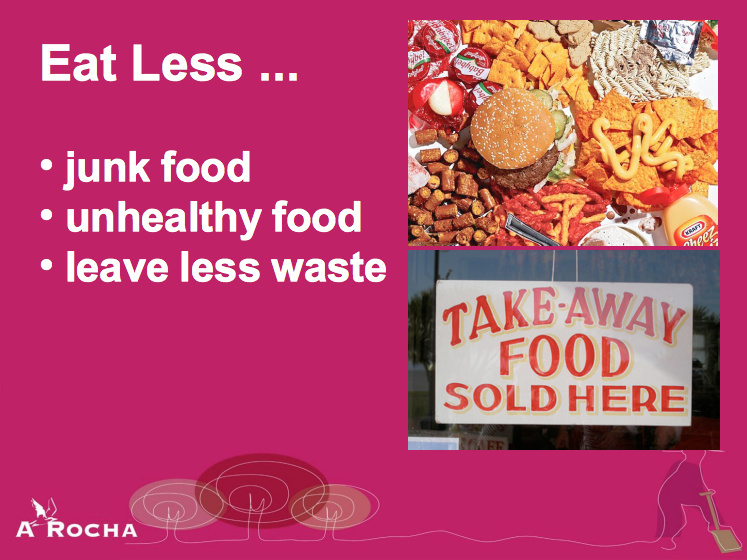 One mnemonic to help is ‘Eat LESS’. Not only is this about reducing quantities of food and waste, but about eating food that is: Local • Ethical • Seasonal • Slow.